Acacia Avenues, an exclusive gated community that spreads over 94,000 square metres, is constructed and developed by Kuwait based Abyaar Real Estate. Its living spaces provide exclusive features such as sea facing apartments and villas also sharing their neighborhood with Madinat Jumeriah and the royal summer palace as well. It is considered as one of the best community developments in Dubai. Acacia avenues also provides world class amenities including luxurious health club, swimming pool, spa, squash courts, children&rsquo;s playing area along with cafes and shops nearby. Those exclusive hi tech modern designed villas combined with premier location and extensive features make the latter as one of the most sought projects in Dubai. The quality of living that is committed in those exclusive luxurious properties is yet unmatched by any other real estate in Dubai. It features several selection of living space that covers an area of nearly 1,350,000 square feet. As Dubai is on the top priority and is a dream destination for tourists and attraction for people who are also trying to settle in such a dynamic location,&nbsp;Acacia Avenues offers high rise villas and towers. 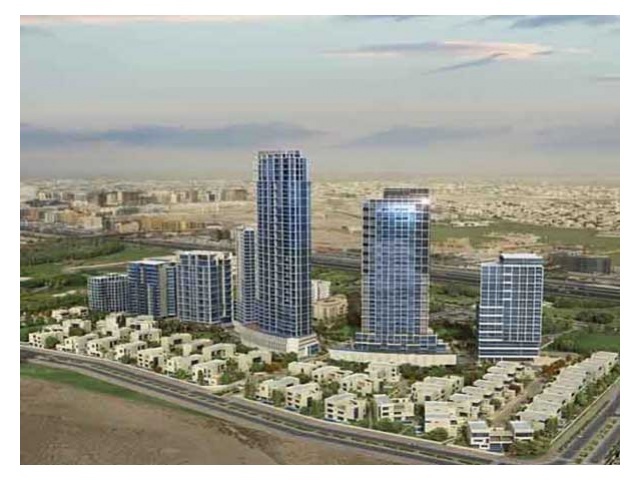 They are as follows: 38 storey Olgana Tower and the 45 storey residential and serviced apartment project, Hilliana Tower. It also has 5 low rise buildings and 50 luxurious villa development such as Decora, Wanya and Fulva. It comprises of a picturesque layout of 52 villas and townhouses covering over 300,000 square feet in a variety of configuration of 5 to 6 bedrooms. The properties of Acacia Avenues are designed to suit the exceptionally sunny climate in the Emirate and derive benefit out of it as well. Light seeps through every aspect of the villa, apartment and townhouses or spreads its rays in such a way that a sense of spaciousness is felt inside the house. Moreover, the unrivaled interior styles of the homes are planned with a perfect symmetrical design and the ingenious spatial planning of the exteriors are also similarly lineal from floors to ceiling windows which are so cleverly merged that the outdoor and the&nbsp;indoor living areas produce such a great feeling of openness that creates a smile on the face of the resident. The villas, apartment and townhouses are ready both for sale and rent. Their picturesque layout with eminent space fills joy and indefinite happiness in the hearts of the people who are dreaming of settling down in Dubai. Lastly, Acacia Avenues is one of the best luxurious community developments in Dubai. The available villas are Wanya Villa, Fulva Villa along with Olgana Tower and Hilliana Tower.